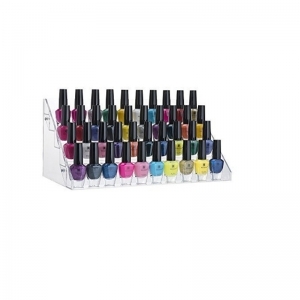 The clear acrylic nail polish display rack has red pink side and a drawer, it can store more than 60 pieces nail polish. 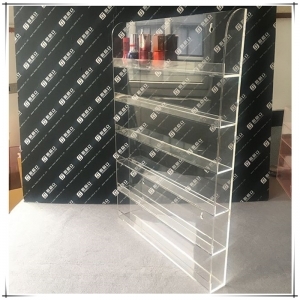 100%pure material 6 tier acrylic makeup organizer to storage your all cosmetics. It could be custom tier, custom size ,custom logo and shape.